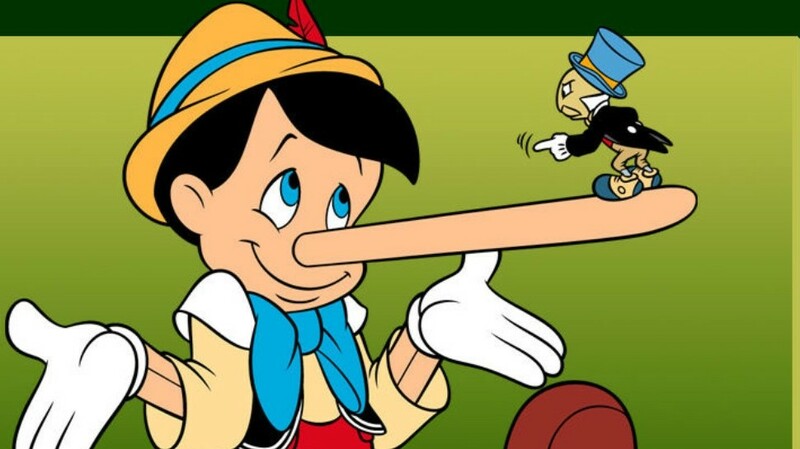 Every time Pinocchio lied, his nose grew longer. Of course, a real boy’s nose does not change when he lies, but his brain might, according to a new research study published in Nature Neuroscience. Researchers at the University College London (UCL) have discovered the brain actually changes the way it responds when someone continues to lie. For the vast majority of people, the brain area known as the amygdala begins a rapid-fire response when a person is dishonest, producing uncomfortable emotions and unpleasant physical reactions. Our heart beats faster, blood pressure escalates, and we begin to perspire. A polygraph machine is designed to detect these physiological changes and alert an investigator that a person may be lying. It is these unpleasant sensations that discourage someone from continuing to lie. But the UCL researchers found when people lie repeatedly, the amygdala settles down and decreases its response, making it easier to lie again and initiating a slippery slope of dishonesty. The researchers conducted MRI scans on the brains of 80 volunteers while they took part in tasks that encouraged them to lie. During several different scenarios, the researchers showed the volunteers pictures of pennies in jars and told them to estimate the number of pennies and then send their estimate by computer to another unseen participant who would use their advice to guess the number of pennies. The first scenario established a baseline for comparison by testing how the volunteers’ brains responded when they were not lying. The researchers offered the volunteers a chance to earn a cash reward for themselves and their partner if they estimated the number of pennies in the jar accurately, providing incentive for the volunteers to be honest. But in subsequent scenarios, the researchers told the volunteers they might earn a cash incentive by either over- or under-estimating the number of pennies. When volunteers believed incorrect estimates could benefit them at their partner’s expense, they began to lie slightly about the amount of pennies they thought the jars held. Their MRIs showed strong responses from their amygdalas. As the experiment progressed, the volunteers continued to lie, and each lie tended to get bigger. With each subsequent lie, the amygdala’s response decreased, making it easier for the volunteer to tell progressively increasing whoppers. “This may lead to a ‘slippery slope,’ where small acts of dishonesty escalate into more significant lies,” Tali Sharot, senior author of the study, said in a statement. The researchers speculated this same sort of brain adaptation may also occur with other immoral behaviors. “We only tested dishonesty in this experiment, but the same principle may also apply to escalations in other actions, such as risk taking or violent behavior,” said lead author Neil Garrett. The findings did not surprise Jason Lee, dean of Biblical and theological studies at Cedarville University, who noted this is the very thing Paul wrote about in the beginning of his letter to the Romans. The Bible says when people continue to reject God they become futile in their thinking, their hearts are darkened and God gives them up in the lusts of their hearts. Romans 1:25 — They exchanged the truth about God for a lie, and worshiped and served created things rather than the Creator. Romans 1:28-31 — They did not think it worthwhile to retain the knowledge of God, so God gave them over to a depraved mind, so that they do what ought not to be done. They have become filled with every kind of wickedness, evil, greed, and depravity. They are full of envy, murder, strife, deceit and malice. They are gossips, slanderers, God-haters, insolent, arrogant and boastful; they invent ways of doing evil; they disobey their parents; they have no understanding, no fidelity, no love, no mercy. Jeremiah 9:5-6 — Friend deceives friend, and no one speaks the truth. They have taught their tongues to lie; they weary themselves with sinning. You live in the midst of deception; in their deceit they refuse to acknowledge me,” declares the Lord. Psalm 119:29 — Keep me from deceitful ways; be gracious to me and teach me your law. I Peter 3:10 — Whoever would love life and see good days must keep their tongue from evil and their lips from deceitful speech.